In 1787 Granville Sharp and his friend Thomas Clarkson decided to form the Society for the Abolition of the Slave Trade. Although Sharp and Clarkson were both Anglicans, nine out of the twelve members on the committee, were Quakers. This included William Dillwyn (1743-1824); John Barton (1755-1789); George Harrison (1747-1827); Samuel Hoare Jr. (1751-1825); Joseph Hooper (1732-1789); John Lloyd (1750-1811); Joseph Woods (1738-1812); James Phillips (1745-1799) and Richard Phillips (1756-1836). Influential figures such as William Allen, John Wesley, Samuel Romilly, Josiah Wedgwood, Thomas Walker, John Cartwright, James Ramsay, Charles Middleton, Henry Thornton and William Smith gave their support to the campaign. Sharp was appointed as chairman. He accepted the title but never took the chair. Clarkson commented that Sharp "always seated himself at the lowest end of the room, choosing rather to serve the glorious cause in humility... than in the character of a distinguished individual." Clarkson was appointed secretary and Hoare as treasurer. At their second meeting Hoare reported subscriptions of £136. Josiah Wedgwood joined the organising committee. As Adam Hochschild, the author of Bury the Chains: The British Struggle to Abolish Slavery (2005) has pointed out: "Wedgwood asked one of his craftsmen to design a seal for stamping the wax used to close envelopes. It showed a kneeling African in chains, lifting his hands beseechingly." It included the words: "Am I Not a Man and a Brother?" Hochschild goes onto argue that "reproduced everywhere from books and leaflets to snuffboxes and cufflinks, the image was an instant hit... Wedgwood's kneeling African, the equivalent of the label buttons we wear for electoral campaigns, was probably the first widespread use of a logo designed for a political cause." Thomas Clarkson explained: "Some had them inlaid in gold on the lid of their snuff boxes. Of the ladies, several wore them in bracelets, and others had them fitted up in an ornamental manner as pins for their hair. At length the taste for wearing them became general, and this fashion, which usually confines itself to worthless things, was seen for once in the honourable office of promoting the cause of justice, humanity and freedom." In this way, women could show their anti-slavery opinions at a time when they were denied the vote. Benjamin Franklin suggested that the image was "equal to that of the best written pamphlet". Clarkson approached another sympathiser, Charles Middleton, the MP for Rochester, to represent the group in the House of Commons. He rejected the idea and instead suggested the name of William Wilberforce, the MP for Hull, who "not only displayed very superior talents of great eloquence, but was a decided and powerful advocate of the cause of truth and virtue." Lady Middleton wrote to Wilberforce who replied: "I feel the great importance of the subject and I think myself unequal to the task allotted to me, but yet I will not positively decline it." Wilberforce's nephew, George Stephen, was surprised by this choice as he considered him a lazy man: "He worked out nothing for himself; he was destitute of system, and desultory in his habits; he depended on others for information, and he required an intellectual walking stick." Thomas Clarksonwas given the responsibility of collecting information to support the abolition of the slave trade. Ellen Gibson Wilson pointed out: "He travelled almost entirely on horseback, for riding was the most efficient way to go in all weathers and all roads and he thought the exercise was good for him." It is estimated that he was to ride some 35,000 miles in the next seven years. His work included interviewing 20,000 sailors and obtaining equipment used on the slave-ships such as iron handcuffs, leg-shackles, thumb screws, instruments for forcing open slave's jaws and branding irons. In 1787 he published his pamphlet, A Summary View of the Slave Trade and of the Probable Consequences of Its Abolition. Clarkson attempted to show that the slave trade was highly dangerous. He claimed that of 5,000 sailors on the triangular route in 1786, 2,320 came home, 1,130 died, 80 were discharged in Africa and unaccounted for and 1,470 were discharged or deserted in the West Indies. Clarkson claimed that in Liverpool alone, over 15,165 seaman had been lost since 1771 in the 1,001 ships that had sailed from there to the coast of Africa. In May 1788, Charles Fox precipitated the first parliamentary debate on the slave trade. He denounced the "disgraceful traffic" which ought not to be regulated but destroyed. He was supported by Edmund Burke who warned MPs not to let committees of the privy council do their work for them. William Dolben described shipboard horrors of slaves chained hand and foot, stowed like "herrings in a barrel" and stricken with "putrid and fatal disorders" which infected crews as well. With the support of Samuel Whitbread, Charles Middleton and William Smith, Dolben put forward a bill to regulate conditions on board slave ships. The legislation was initially rejected by the House of Lords but after William Pitt threatened to resign as prime minister, the bill passed 56 to 5 and received royal assent on 11th July. Another debate on the slave trade took place the following year. On 12th May 1789 William Wilberforce made his first speech on the subject. Wilberforce's biographer, John Wolffe, has pointed out: "Following the publication of the privy council report on 25 April 1789, Wilberforce marked his own delayed formal entry into the parliamentary campaign on 12 May with a closely reasoned speech of three and a half hours, using its evidence to describe the effects of the trade on Africa and the appalling conditions of the middle passage. He argued that abolition would lead to an improvement in the conditions of slaves already in the West Indies, and sought to answer the economic arguments of his opponents. For him, however, the fundamental issue was one of morality and justice. The Society for the Abolition of the Slave Trade was very pleased with the speech and sent its thanks for his "unparalleled assiduity and perseverance". The House of Commons agreed to establish a committee to look into the slave trade. Wilberforce said he did not intend to introduce new testimony as the case against the trade was already in the public record. Ellen Gibson Wilson, a leading historian on the slave trade has argued: "Everyone thought the hearing would be brief, perhaps one sitting. Instead, the slaving interests prolonged it so skilfully that when the House adjourned on 23 June, their witnesses were still testifying." James Ramsay, the veteran campaigner against the slave trade, was now extremely ill. He wrote to his friend Thomas Clarkson on 10th July 1789: "Whether the bill goes through the House or not, the discussion attending it will have a most beneficial effect. The whole of this business I think now to be in such a train as to enable me to bid farewell to the present scene with the satisfaction of not having lived in vain." Ten days later Ramsay died from a gastric haemorrhage. The vote on the slave trade was postponed to 1790. Thomas Clarkson continued to gather information for the campaign against the slave-trade. Over the next four months he covered over 7,000 miles. During this period he could only find twenty men willing to testify before the House of Commons. He later recalled: "I was disgusted... to find how little men were disposed to make sacrifices for so great a cause." There were some seamen who were willing to make the trip to London. One captain told Clarkson: "I had rather live on bread and water, and tell what I know of the slave trade, than live in the greatest affluence and withhold it." William Wilberforce believed that the support for the French Revolution by the leading members of the Society for the Abolition of Slave Trade such as Sharp was creating difficulties for his attempts to bring an end to the slave trade in the House of Commons. He told Thomas Clarkson: "I wanted much to see you to tell you to keep clear from the subject of the French Revolution and I hope you will." Isaac Milner, after a long talk with Clarkson, commented to Wilberforce: "I wish him better health, and better notions in politics; no government can stand on such principles as he maintains. I am very sorry for it, because I see plainly advantage is taken of such cases as his, in order to represent the friends of Abolition as levellers." On 18th April 1791 Wilberforce introduced a bill to abolish the slave trade. Wilberforce was supported by William Pitt, William Smith, Charles Fox, Richard Brinsley Sheridan, William Grenville and Henry Brougham. The opposition was led by Lord John Russell and Colonel Banastre Tarleton, the MP for Liverpool. One observer commented that it was "a war of the pigmies against the giants of the House". However, on 19th April, the motion was defeated by 163 to 88. In March 1796, Wilberforce's proposal to abolish the slave trade was defeated in the House of Commons by only four votes. At least a dozen abolitionist MPs were out of town or at the new comic opera in London. Wilberforce wrote in his diary: "Enough at the Opera to have carried it. I am permanently hurt about the Slave Trade." Thomas Clarkson commented: "To have all our endeavours blasted by the vote of a single night is both vexatious and discouraging." It was a terrible blow to Clarkson and he decided to take a rest from campaigning against the slave trade. In 1804, Clarkson returned to his campaign against the slave trade and toured the country on horseback obtaining new evidence and maintaining support for the campaigners in Parliament. A new generation of activists such as Henry Brougham, Zachary Macaulay and James Stephen, helped to galvanize older members of the Society for the Abolition of the Slave Trade. William Wilberforce introduced an abolition bill on 30th May 1804. It passed all stages in the House of Commons and on 28th June it moved to the House of Lords. The Whig leader in the Lords, Lord Grenville, said as so many "friends of abolition had already gone home" the bill would be defeated and advised Wilberforce to leave the vote to the following year. Wilberforce agreed and later commented "that in the House of Lords a bill from the House of Commons is in a destitute and orphan state, unless it has some peer to adopt and take the conduct of it". In 1805 the bill was once again presented to the House of Commons. This time the pro-slave trade MPs were better organised and it was defeated by seven votes. Wilberforce blamed "Great canvassing of our enemies and several of our friends absent through forgetfulness, or accident, or engagements preferred from lukewarmness." Clarkson now toured the country reactivating local committees against the slave trade in an attempt to drum up the support needed to get the legislation through parliament. In February, 1806 Lord Grenville was invited by the king to form a new Whig administration. Grenville, was a strong opponent of the slave trade. Grenville was determined to bring an end to British involvement in the trade. Thomas Clarkson sent a circular to all supporters of the Society for the Abolition of the Slave Trade claiming that "we have rather more friends in the Cabinet than formerly" and suggested "spontaneous" lobbying of MPs. Grenville's Foreign Secretary, Charles Fox, led the campaign in the House of Commons to ban the slave trade in captured colonies. 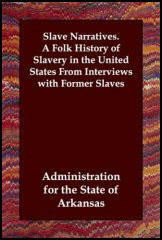 Clarkson commented that Fox was "determined upon the abolition of it (the slave trade) as the highest glory of his administration, and as the greatest earthly blessing which it was the power of the Government to bestow." This time there was little opposition and it was passed by an overwhelming 114 to 15. In the House of Lords Lord Grenville made a passionate speech where he argued that the trade was "contrary to the principles of justice, humanity and sound policy" and criticised fellow members for "not having abolished the trade long ago". When the vote was taken the bill was passed in the House of Lords by 41 votes to 20. In January 1807 Lord Grenville introduced a bill that would stop the trade to British colonies on grounds of "justice, humanity and sound policy". Ellen Gibson Wilson has pointed out: "Lord Grenville masterminded the victory which had eluded the abolitionist for so long... He opposed a delaying inquiry but several last-ditch petitions came from West Indian, London and Liverpool shipping and planting spokesmen.... He was determined to succeed and his canvassing of support had been meticulous." Grenville addressed the Lords for three hours on 4th February and when the vote was taken it was passed by 100 to 34. Wilberforce commented: "How popular Abolition is, just now! God can turn the hearts of men". During the debate in the House of Commons the solicitor-general, Samuel Romilly, paid a fulsome tribute to Wilberforce's unremitting advocacy in Parliament. The trade was abolished by a resounding 283 to 16. According to Clarkson, it was the largest majority recorded on any issue where the House divided. Romilly felt it to be "the most glorious event, and the happiest for mankind, that has ever taken place since human affairs have been recorded." Some people involved in the anti-slave trade campaign such as Thomas Fowell Buxton, argued that the only way to end the suffering of the slaves was to make slavery illegal. 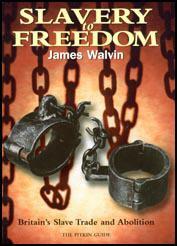 William Wilberforce disagreed, he believed that at this time slaves were not ready to be granted their freedom. He pointed out in a pamphlet that he wrote in 1807 that: "It would be wrong to emancipate (the slaves). To grant freedom to them immediately, would be to insure not only their masters' ruin, but their own. They must (first) be trained and educated for freedom." On the 22nd of May 1787 twelve men met in a room in George Yard in the City of London and came to a decision which one of them recorded in neat handwriting in a ledger. Having taken into consideration the slave trade, the note said, they resolved that it was both impolitic and unjust. Two months later they took a lease on a suite of offices at 18 Old Jewry. They called themselves the Committee for the Abolition of the Slave Trade. Ten of the twelve were Quakers, members of the Society of Friends, which for a number of years had issued public statements condemning the trade on religious and humanitarian grounds. The other two men, both of them also deeply religious, had virtually committed their lives to the cause they and all the many others who were to join and follow them saw as no less than holy and sacred. The perpetuation of slavery in our West India colonies is not an abstract question, to be settled between the government and the planters; it is one in which we are all implicated, we are all guilty of supporting and perpetuating slavery. The West Indian planter and the people of this country stand in the same moral relation to each other as the thief and receiver of stolen goods. The West Indian planters have occupied much too prominent a place in the discussion of this great question....The abolitionists have shown a great deal too much politeness and accommodation towards these gentlemen.... Why petition Parliament at all, to do that for us, which... we can do more speedily and effectually for ourselves? They were a faithful, hardworking band, usually meeting at least weekly at half past five or seven o'clock in the evening. They used James Phillips's premises until July when they moved into a first-floor room at 18 Old Jewry where the rent of £25 a year included the servant who lit the fire and candles for them before they arrived from their offices or dinner tables. After six months, under pressure of work, they employed John Frederick Garling to keep the minutes and send out notices, but the mounting correspondence was still dealt with by the individual members. On 4 September 1787, the Committee formally designated Sharp as chairman although it seems to have been accepted from the start that he would hold the office. Hoare, however, signed and received all the correspondence till then, even when Sharp was present. He was chosen as a tribute to his early work and also because he was not a Quaker. He accepted the title but never took the chair. Clarkson, who eventually attended more than 700 meetings with him, said that Sharp "always seated himself at the lowest end of the room, choosing rather to serve the glorious cause in humility ... than in the character of a distinguished individual."